The Fashion Debates: What Role Does Fashion Play In The War On Plastic? The call to reduce our plastic usage has been loud and urgent. While fashion has been called out for its excessive use of synthetic fabrics which are putting microplastics in our water supply, recycled plastic is also becoming one of the coolest new materials around being used in everything from trainers, to swimwear, to suits. The Fashion Debates returns for another evening at The House of St Barnabas members’ club for a discussion on what fashion can do to join the fight against the war on plastic led by an expert panel. What are the main causes of plastic pollution from the fashion industry and how do we reduce it? How much plastic could fashion save from going to waste? Can fashion make plastic-free consumer solutions stylish? We’ll be covering these vital questions, plus come with your own questions to put to the panel. The House of St Barnabas is a charity pledging to break the cycle of homelessness and social exclusion in London. They run a social enterprise, a not-for-profit members’ club, to help the people they support back into lasting paid work. Their Employment Academy offers accredited qualifications, on-site work experience, real job opportunities and mentoring. The House of St Barnabas are seeking to redefine the notion of a members’ club, to challenge stereotypes around the idea of exclusivity and to create a different kind of membership. The club is a creative, socially conscious and vibrant space. The Fashion Debates: How Should Fashion Move On From #METOO? The #metoo movement started in Hollywood but soon allegations from the fashion world started coming to light unveiling a bigger picture of deep-rooted problems, particularly between models and photographers. The Fashion Debates returns for another evening at The House of St Barnabas members’ club for a discussion on what needs to be done for the industry to move forward led by an expert panel. Why did these assaults go unreported for so long? How do we turn allegations into affirmative action? Is boycotting offenders effective? What measures need to be put in place to prevent future incidences? We’ll be covering these vital questions, plus come with your own questions to put to the panel. Together Street: Can Fashion Change for Good? And it’s not just for the new season. More and more of us care about the stories behind our clothes. The industry is catching up with our demands for transparency. But will it last? We’ve brought together a panel of fashion industry change-makers to talk about what the future has in store for our wardrobes. Our panel will share the highs and lows of trying to remake an industry. We’ll be sharing practical tips for consumers looking to change the way they shop buy, care for and dispose of their clothes. Are things getting better? We’ll be dreaming of a beautiful future, and plotting how to get there. There’ll be drinks, nibbles and a no-holds-barred Q&A, too. 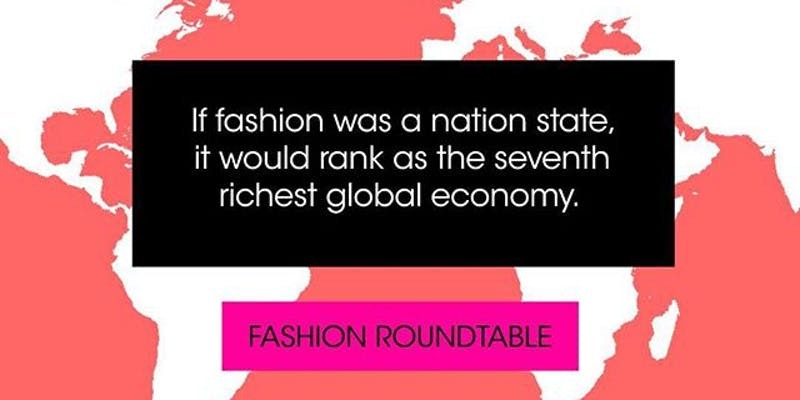 Following the fantastic Fashion Revolution week, the launch of the transparency index, the recent Copenhagen Fashion Summit 2017, and the launch of Global Fashion Agenda 2020 Circular Fashion System Commitment. FuturePlanet will curate an event to showcase and champion leading influencers, changemakers and brands with stories of sustainable innovation and social change. We will explore and adventure through the innovations and people that are shaping the future of fashion. The challenges and solutions, the products or campaigns that are ongoing or being launched. Helping you discover sustainable brands, products, practices and lifestyles you can fall in love with. Empowering you to share with your friends and families. With a diverse network of like-minded people, who share the same interests and passions. This event looks at how we can use our networks, our insight and our voices to create the change we want to see in the world. It will be hosted at the newly opened Shop at Bluebird Floral Street with a great lineup of speakers (tbc) including Lisa Cameron MP and Katherine Hamnett CBE. Advocates for sustainability in the fashion industry GFX and West London Waste Authority (WLWA) have joined forces to host a London clothes swap alongside a number of pop-up talks, to raise awareness of one of the most polluting industries in the world – textiles. If everyone wore their clothes more, we could reduce carbon, water and waste footprints by 20-30%. To put things into perspective – most people wear their clothing for an average of 7 days, when the average should be three years. Through this swap, UK households can save up to £1000, the value of 1/3 of the clothes in their closets that they don’t wear, swapping these unwanted items for clothes they will actually wear – saving them money, while also making an impactful change on the world. The day will begin with individuals dropping off up-to 5 items of clothing at the V&A clothes swap. Participants will be given one token per item given, to be used later at the clothes swap. Clothing will be evaluated by the guidelines stated below, and only eligible towards the clothes swap if they are deemed acceptable. Please note: admission to the swap for general public who have attended talks will be from 14:30. Clothes that have been accepted for the swap will be set up nicely for participants to browse, try on and pick out what clothing they want to give a second life. There will be stock pieces from Arcadia brands, a number of pieces that have been repurposed by Graduate Fashion week, as well as one bespoke piece created by Felder+ Felder, to be won by a lucky participant. Birdsong’s cult, feminist, concept store is back. Expect collaborations, events and exclusive drops from the forefront of sustainable style, along with Birdsong’s trademark sisterly atmosphere. Whether you’re a sustainable die hard or new to the game, we’ll be stocking pieces for everyone. Shop clothing, accessories, pottery, prints, zines, artworks and more. 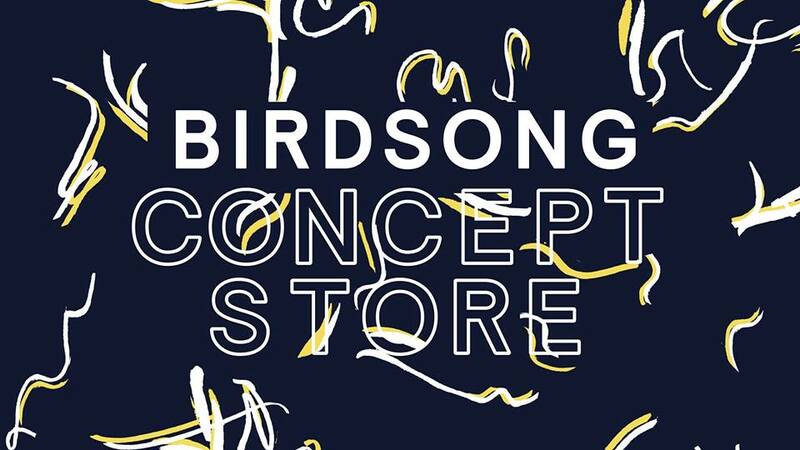 Birdsong have spent the past 18 months holding eagerly anticipated concept stores across London and Berlin. Their latest offering sees stock from cult designers Tatty Devine, Mary Benson, Clio Peppiatt and more. Previous stores were featured in Style Bubble, Evening Standard, Grazia, Time Out, Dazed, i-D, Refinery29, The Debrief, and Metro. The shop will be closed on Monday 25th and Tuesday 26th June.